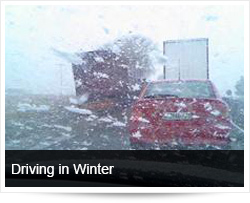 Driving in winter may be hazardous for the unprepared and inexperienced driver. 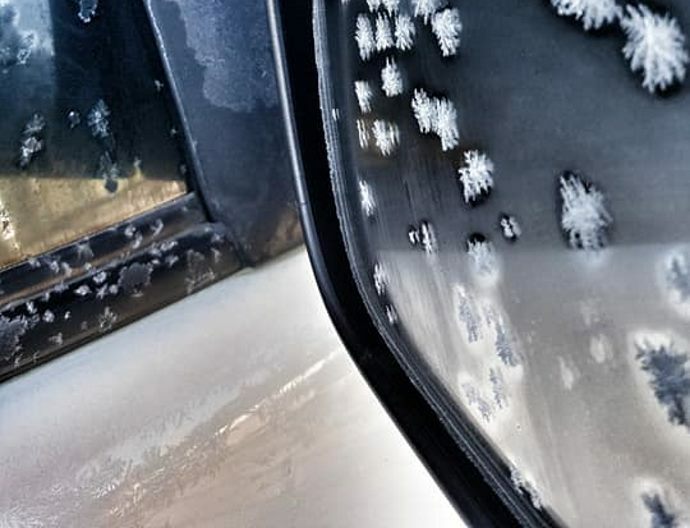 Although South Africa is not as well known for extreme winter conditions, such conditions may be extremely hazardous and many drivers might need to consider measures relating to the condition of their car as well as driving techniques in these conditions. Coolant Level and Antifreeze Amount. Make sure the cooling system is full and there is enough anti-freeze in the system to protect against freezing. This can be checked with a special coolant tester. Defrosting and Heating Equipment. Make sure the defrosters work. They are needed for safe driving. Make sure the heater is working, and that you know how to operate it. Wipers and Washers. Make sure the windshield wiper blades are in good condition. Make sure the wiper blades press against the window hard enough to wipe the windshield clean. Otherwise, they may not sweep off snow properly. Make sure the windshield washer works and there is washing fluid contained in the washer reservoir. Use windshield washer antifreeze to prevent freezing of the washer liquid. If you can't see well enough while driving (for example, if your wipers fail), stop safely and fix the problem. Tyres. Make sure you have enough tread on your tyres. The drive tyres must provide traction to push the rig over the wet pavement and through the snow. The steering tyres must have traction to steer the vehicle. Enough tread is especially important in winter conditions. Lights and Reflectors. Make sure the lights and reflectors are clean. Lights and reflectors are especially important during bad weather. Check from time to time during bad weather to make sure they are clean and working right. Windows and Mirrors. Remove any ice, snow, etc., from the windshield, windows, and mirrors before starting. Use a windshield scraper, and windshield defroster as necessary. Make sure that you can see and communicate with other drivers. Hand Holds, Steps, and Deck Plates. Remove all ice and snow from handholds, steps, and deck plates which you must use to enter the cab or to move about the vehicle. This will reduce the danger of slipping. Radiator Shutters and Winterfront. Remove ice from the radiator shutters. Make sure the winterfront is not closed too tightly. If the shutters freeze shut or the winterfront is closed too much, the engine may overheat and stop. Exhaust System. Exhaust system leaks are especially dangerous when inside ventilation may be poor (windows rolled up, etc.).  Loose connections could permit poisonous carbon monoxide to leak into your vehicle. Carbon monoxide gas will cause you to be sleepy. In large enough amounts it can kill you. Check the exhaust system for loose parts and for sounds and signs of leaks. Slippery Surfaces. Drive slowly and smoothly on slippery roads. If it is very slippery, you shouldn't drive at all. Stop at the first safe place. Avoid Driving Distracted. Keep Both Eyes on the Road and Hands on the Steering Wheel! Focus on Driving Safely! Start Gently and Slowly. When first starting, get the feel of the road. Don't hurry. Adjust Turning and Braking to Conditions. Make turns as gentle as possible. Don't brake any harder than necessary. Adjust Speed to Conditions. Don't pass slower vehicles unless necessary. Go slow and watch far enough ahead to keep a steady speed. Avoid having to slow down and speed up. Take curves at slower speeds and don't brake while in curves. 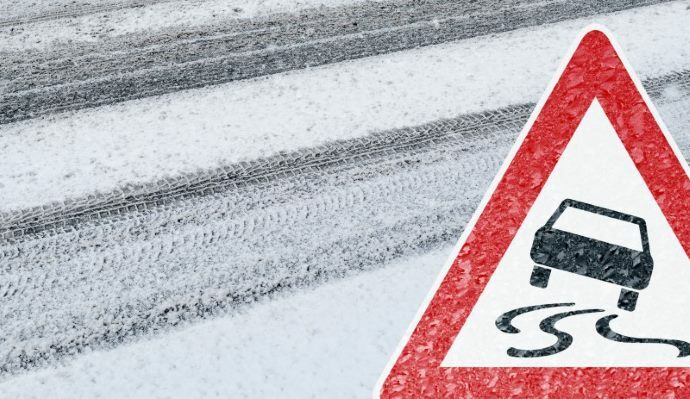 Be aware that as the temperature rises to the point where ice begins to melt, the road becomes even more slippery. Slow down more. Adjust Space to Conditions. Don't drive alongside other vehicles. Keep a longer following distance. When you see a traffic jam ahead, slow down or stop to wait for it to clear. Try hard to anticipate stops early and slow down gradually. Be careful of Wet Brakes. When driving in heavy rain or deep standing water, your brakes will get wet. Water in the brakes can cause the brakes to be weak, to apply unevenly, or to grab. This can cause a lack of braking power, wheel lockups, pulling to one side or the other, and jackknife if you pull a trailer. Avoid driving through deep puddles or flowing water if possible. Place transmission in a low gear. Gently put on the brakes. This presses linings against brake drums or discs and keeps mud, silt, sand, and water from getting in. Increase engine rpm and cross the water while keeping light pressure on the brakes. Be especially careful on bridges, overpasses and infrequently travelled roads, which will freeze first. Even at temperatures above freezing, if the conditions are wet, you might encounter ice in shady areas or on exposed roadways like bridges. Don't pass snow ploughs and sanding trucks. The drivers have limited visibility, and you're likely to find the road in front of them worse than the road behind. If you have anti-lock brakes (ABS), do not pump the brakes. Apply steady pressure to the brakes. You will feel the brakes pulse - this is normal. Try rocking the vehicle. (Check your owner's manual first - it can damage the transmission on some vehicles.) The shift from forward to reverse, and back again. Each time you're in gear, give a light touch on the gas until the vehicle gets going.